For over 37 years now, Tree of Life Christian Schools has educated students in God’s truth and discipled them in Christ. 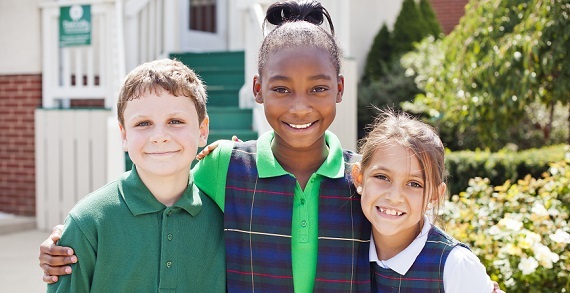 The school offers a Christ centered, college prep curriculum at three locations in Columbus and Dublin, serving students from over 125 evangelical churches. Stop by during Tree's open visits to meet staff and take a tour. Open visits are every Wednesday that school is in session. Dublin and Indianola branches' hours are between 9:30am and 11:30am, Northridge branch's hours are between 9:30am and 12pm. Special Offer: New families mention KidsLinked to have your application fee waived. Tree of Life offers: 1) Rigorous college preparatory academics, 2) Teaching with biblical worldview, 3) Spiritually formative, loving community, 4) Strong Arts, Athletics, Spanish, and Technology Programs. Open enrollment begins Tuesday, February 23, 2016. Classes fill quickly, especially at the elementary level. Tree of Life Christian schools receives consistent feedback from its graduates about their excellent academic and spiritual preparedness for college. Students' ACT average scores range between 24 and 26 consistently each year; well above the state and national averages. In 2015 Tree's senior Calculus class was invited to represent United States' private schools in the 2015 Trends in Mathematics and Science Study Advanced (TIMSS Advanced) program. Currently, Tee offers a robust dual credit program allowing students to earn over 40 college credit hours. In order to assure it's students are graduating fully prepared for university and life, Tree of Life Christian Schools announced their 1:1 iPad Initiative in 2013. Tree of Life Christian Schools issues each high school student an iPad device as a tool to advance and enrich the learning process. Students' educational experiences are significantly enhanced with access to an iPad and its educational apps, truly putting the world in each student's hands. The Tree of Life iPad Initiative's purpose is to help equip Christ-centered students to create, collaborate, critically think, and communicate within a local and global community. The School's desire is to develop a "Culture of Innovation." You can learn more by clicking here. *Pricing: 2016-2017 Tuitions: High School (9-12) $8,248; Middle School (7-8) $7,698; Middle School (6); $6,966; Elementary $6,552; Kindergarten (1/2 day) $3,948; Pre-Kindergarten (5 day) $3,948; Pre-Kindergarten (3 day) $2,628; Pre-Kindergarten (2 day) $1,752. *Tuition excludes Facility Fees. Sibling tuition discounts are given. New student discounts are available. *Excluding Facility Fees. Sibling tuition discounts given. New student discounts available. Before and after school programs are also available. For more information, contact Carol Tanner, Director of Admissions, at ctanner@tolcs.org or 614-263-2688.